Newport's Jake Lynch named for 2018 Surf Life Saving Australia and Royal Life Saving Squad - A J Guesdon photo. Current Australian Ironman and Ironwoman Champions, Kenrick Louis (Manly) and Lana Rogers (Noosa Heads) and two times Commonwealth Games silver medallist Brad Woodward (Shelly Beach/The Hills) are part of a 36-strong squad announced today to represent Surf Life Saving Australia and Royal Life Saving for the 2018 International life saving calendar which includes Life Saving World Championships 2018 (LWC2018) held in Adelaide from the 16 November to 2 December 2018. The announcement of the 2018 High-Performance Squad kicks off an exciting 6 months for Head Coach Kurt Wilson and the National team. 32 athletes from the 2017 ALT High-Performance Squad return along with 4 athletes being rewarded for their 2018 seasons. Talking about the squad selection Head Coach Kurt Wilson said that it was important that the 2018 squad and the coaching structures surrounding these athletes continue to build on the platform that was developed last year. Max Brooks (Newport) and Lana Rogers are two of the fresh faces in the squad following stellar Ocean 6 Series results where both athletes finished with Round 6 victories at North Cronulla and both also placed fourth overall in the KNG Ironman and Ironwoman Series respectively. At the Australian Championships 2018 Brooks picked up three medals while Rogers finished with Ironwoman and Taplin Relay victories amongst other results. Lani Pallister (Alexandra Headland) is another who has forced her way into the squad following scintillating results from Queensland State Titles and at 2018 Swimming Australia National Age Titles. In the lead up to the World Championships, the Australian team will also head to Japan in June for the Sanyo Cup hosted in Fukuoka at Momochi Beach where they will look to test their skills against rival nations New Zealand, Japan & South Africa aiming to retain the Cup for the 11th consecutive year. A modified format of German Cup will be again being hosted in Warendorf, Germany, in September just eight weeks prior to LWC2018 serving as a key lead-in event for final preparations for the Australian Team ahead of the World Championships in Adelaide. The Australian Life Saving Team comprised of 12 athletes to represent this squad of athletes at Life Saving World Championships 2018 will be named next Thursday 10th May. The Australian Youth Life Saving Team will be named next Thursday 17th May of which is comprised of those athletes born following the turn of the 21st century. Surf Life Saving NSW congratulates the eleven athletes chosen to be part of the 2018 Australian Life Saving Team High Performance Squad. 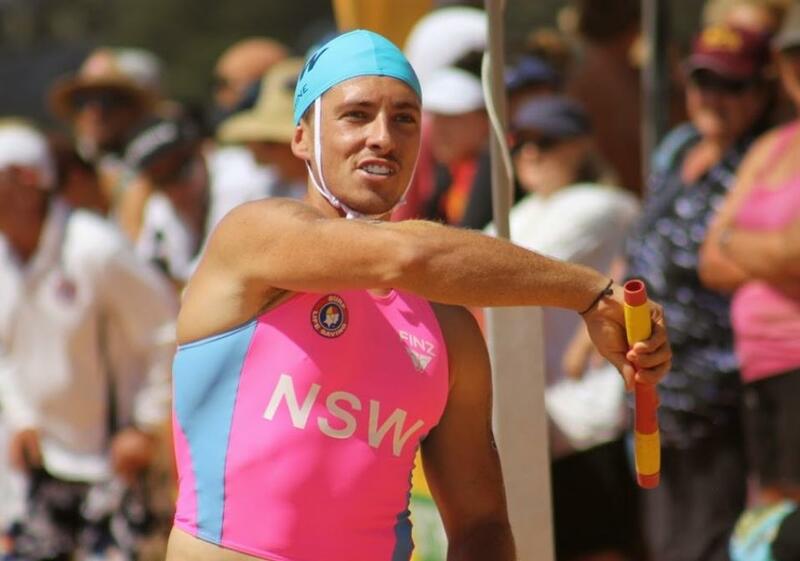 The announcement on Friday keeps alive the dream of being chosen to represent their country when the World Lifesaving Championships return to Australia later this year. All of the NSW athletes chosen have had international experience before with several of the side being part of the 2014 and 2016 all-conquering Youth Teams, highlighting the importance of pathways to eventual senior success. Each of those selected have enjoyed stellar campaigns over the summer season including at the Commonwealth Games in the case of Bradley Woodward, and competition for a spot in the team is sure to be fierce. The NSW athletes selected form a key part of the 38-strong squad from around the country with the announcement coming ahead of a busy campaign for the green and golds. In June a team will head to Japan to contest the Sanyo Cup where the Australians are aiming for an 11th straight title, while in September a modified German Cup will be staged in Warendorf providing a competitive hit-out just eight weeks out from the World Championships. NSW Surf Sports Manager Rob Pidgeon said the selection of so many of the state’s competitors underscores the depth of talent both in the surf and on the beach. “I would like to congratulate these eleven competitors who have earned selection in the Australian squad. “Each of them has demonstrated sustained success over many years and have consistently performed well at club, state, national and international levels,” Mr Pidgeon said. The squad will be whittled down in the coming weeks with the Open and Youth Australian Lifesaving teams to be named later this month. The Aussies will take on the world in November in Adelaide. For further information, visit the 2018 World Lifesaving Championships website.